Americans come from all walks of life and from every nation on this earth. We have a multitude of languages, religions, cultures, and much, much more. What a great country we have. 3. Pursuit of your dreams. 10. Men & Women willing to shed blood to protect our liberty. To be an American to me means that I am free. That when I grow up I can pick the job I want, what shift to work. And to have a good education. It means that I can say “The Pledge of Allegiance” and that I can vote for the President, my county clerk, and the Mayor. But to me it means most of all to be free and to be proud that I live in the United States of America here in Wisconsin. “Did you know... that of the original thirteen colonies that attended the Continental Congress and voted on the Declaration of Independence, only nine voted in favor of it? 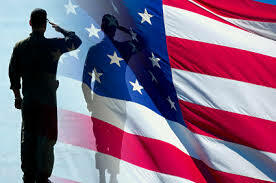 Did you Know…….that the original Pledge of Allegiance was written in 1892 by Christian Socialist, Francis Bellamy? Did you know….that the first American Flag was sewn by seamstress Betsy Ross in May 1777, at the behest of the Continental Congress? Did you know……A committee selected the eagle as the national bird of the United States. Benjamin Franklin served on this committee (along with John Adams and Thomas Jefferson) and is notable because he argued fiercely for the national bird to be the turkey. 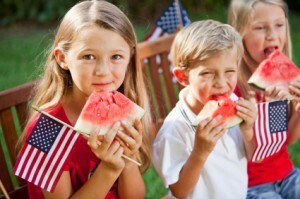 Did You Know……Over an estimated 150 million hot dogs will be consumed on the Fourth of July. That’s roughly 1 dog for every two people in the U.S.
Did You Know….Eleven places have “independence” in their name. The most populous of these is Independence, Missouri. 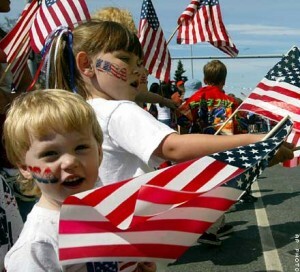 Also called Fourth of July a U.S. holiday observed every July 4 to commemorate the adoption by the Continental Congress of the Declaration of Independence on July 4, 1776. Although observance of the holiday began in Philadelphia on July 8, 1776, the day was not made a legal holiday until 1941. 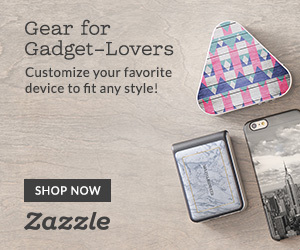 Traditionally it is celebrated with parades, fireworks, patriotic speeches, and picnics. 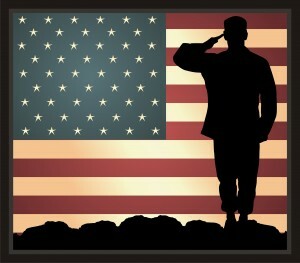 to the flag…to the emblem that stands for and represents. 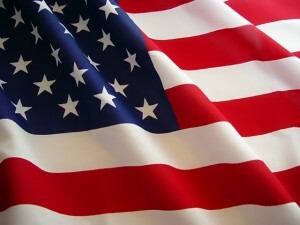 of the United States… all 50 states, each of them individual, and individually represented on the flag. 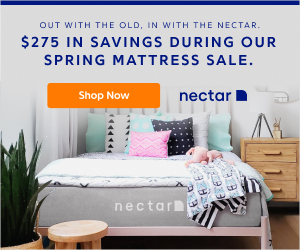 of America……. yet formed into a UNION of one Nation. and to the Republic…. AND I also pledge my loyalty to the Government that is in itself a Republic, a form of government where the PEOPLE are sovereign. for which it stands…. this government is also being represented by the Flag to which I promise loyalty. one Nation under God….. These 50 individual states are united as a single Republic under the Divine providence of God, “our most powerful resource” (according to the words of President Eisenhower. Indivisible….. and can not be separated. (This part of the original version of the pledge was written just 30years after the beginning of the Civil War and demonstrates the unity sought in the years after that divisive period of our history. with Liberty…. The people of this Nation being afforded the freedom to pursue “life, liberty and happiness”. and Justice… And each person entitled to be treated justly, fairly, and according to proper law and principle. for All…….And these principles afforded to EVERY AMERICAN, regardless of race, religion, color, creed, or any other criteria. Just as the flag represents 50 individual states that can not be divided or separated, this Nation represents millions of people who can not be separated or divided. 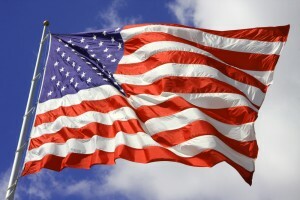 When we view the flag, we think of liberty, freedom, pride, and Betsy Ross. The American flag flies on the moon, sits atop Mount Everest, is hurtling out in space. The flag is how America signs her name. 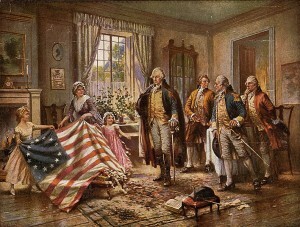 According to patriotic legend, Betsy Ross sewed the first American flag at the request of George Washington. Most of us still learn the legend that George Washington visited her Philadelphia shop and asked her to create a flag for the budding nation. No firm evidence exists to prove the story; the legend is based on statements made by Ross’s grandson, who said Ross told him the story on her deathbed. Ross definitely was a seamstress and upholsterer in Philadelphia at the time of the Continental Congress, and her role in the creation of the flag has been widely accepted as fact. Her first husband John Ross, a member of the Pennsylvania militia, was killed in an explosion while guarding an ammunition dump. Her second husband, Captain Joseph Ashburn, was captured at sea during the war and died in a British prison; she later married another friend, John Claypoole, with whom she had five daughters. She died in Philadelphia in 1836. Americans show their pride through the display of the American flag, a symbol of justice and freedom. 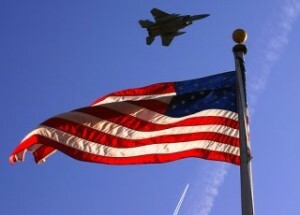 The same Americans flying the flag may not know these eight interesting facts about their flag. 1. The version of a flag with 13 alternating red and white stripes and a blue square containing thirteen white starts was adopted on June 14, 1777 by the Marine Committee of the Second Continental Congress in Philadelphia, PA.
2. Francis Hopkins of New Jersey designed the flag (and also signed the Declaration of Independence) as well as helping to design the Great Seal of the United States. 3. The “Betsy Ross Flag” refers to a flag containing thirteen stars arranged in a circle. 4. The number of stars on the flag represents the number of current states in the union and thus has been changed multiple times over the years. 5. President Eisenhower set the proportions of the flag with an Executive Order of the President on August 21, 1959. According to this the proportions of the flag are as follows: hoist (width) of flag:1.0, fly (length) of flag:1.9, hoist (width) of union (the blue square containing the stars): 0.5385, fly (length) of union:0.76, width of each stripe:0.0769, diameter of each star: 0.0616. 6. According to the United States code Title 36, Chapter 10 Patriotic Customs, the flag should be displayed only from sunrise to sunset and during good weather. 7. All schools, court houses and main administration buildings for all public institutions should have an American flag close by. 8. Flags should also be hoisted briskly and lower ceremoniously. 9/11 NEVER FORGET….9-11 isn’t about losing the twin towers; no it’s about all those men and women we lost due to an attack on our country. 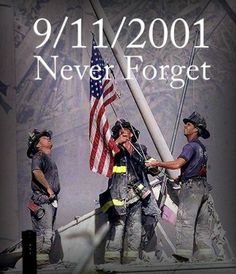 Every American mourned at the lost of them. But the good that came out of it is that our country came together and we came out even stronger. 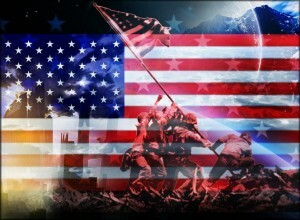 BE PROUD TO BE AN AMERICAN, REMEMBER THAT DAY ! My name is “Old Glory”. And when it’s by those whom I’ve served in battle — it hurts. This Declaration states that a government should be run by the wishes of the people and for the people. If this doesn’t happen, the people have the right to revolt. 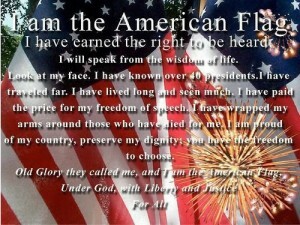 This means Freedom for the United States of American and its citizens. We are free to live our lives the way we choose. We are free to celebrate in the way we see fit. We are free to believe the way we want to. We are free to come and go. We are free to say what we want, without fear of repercussion. Thank God for our freedoms. They are not to be taken lightly. Although we are free, let’s not intrude on other’s freedoms, and be respectful of others. On Sept. 13, 1814, Francis Scott Key visited the British fleet in Chesapeake Bay to secure the release of Dr. William Beanes, who had been captured after the burning of Washington, DC. The release was secured, but Key was detained on ship overnight during the shelling of Fort McHenry one of the forts defending Baltimore. In the morning, he was so delighted to see the American flag still flying over the fort that he began a poem to commemorate the occasion. 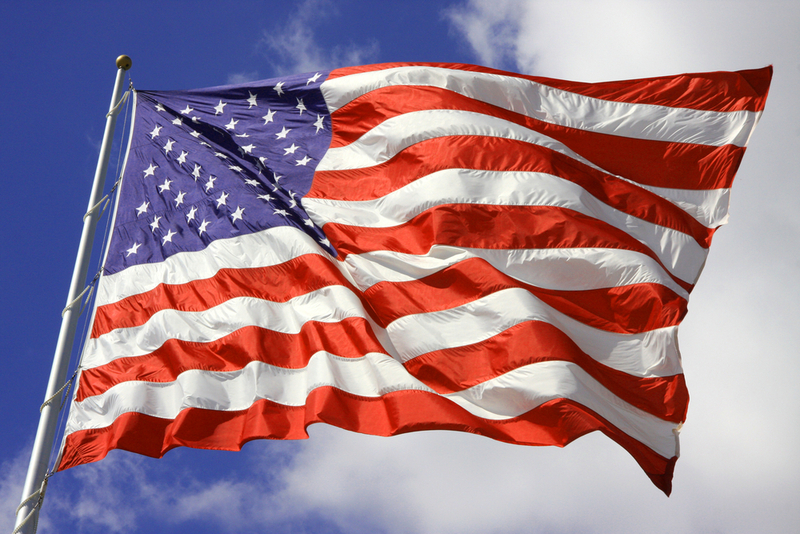 HERE ARE SOME AMERICAN FLAG GUIDELINES TAKEN FROM THE OLD FARMERS ALMANAC……. When the flag is hung vertically on a wall, window or door the Union (blue) should be to the observer’s left. When the flag is hung either horizontally or vertically against a wall, the Union (blue field) should be to the observer’s left. Celebrating the Fourth of July is one of the best parts about summer. You get to barbecue with your family, watch fireworks, go to a parade—take part in all the fun summer activities. To me, July 4 is a time of a pride in Soldiers and all Service Members for loving American independence so much that they are willing to go out and defend it. Of course, like all of our patriotic holidays, it is also a time to remember those who gladly gave their lives for that freedom. While others may wave flags and recall those who bravely signed their names on that independence declaration long ago, my heart swells with pride for those who are willing to sign their names today, promising to defend that independence with their lives. I urge you to not be one of those Americans who doesn’t know the country from whom we won our independence (psst, it’s Great Britain) or part of the 42 percent who don’t know the year we declared that independence ( it’s 1776).